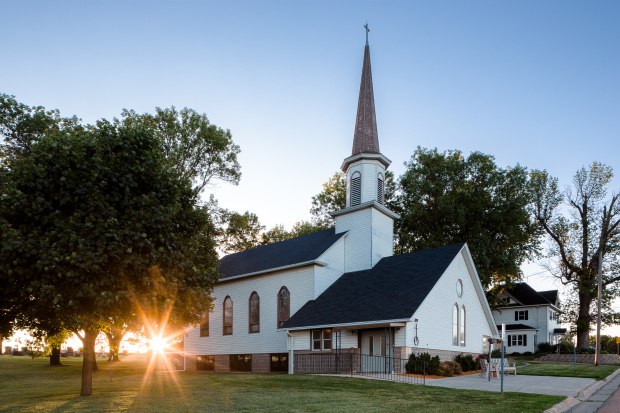 St. John's United Church of Christ – Rooted in tradition. Thriving in life. and the place that will always welcome you in. The community at St. John’s United Church of Christ welcomes you to join us in worship. We believe that we are stronger together, and welcome you to share your joys, sorrows, gifts, and burdens with us. Children ages 3 and up are invited to church on the first Friday of each month from 5 to 8pm for dinner, stories, arts, and games. Check out the web page for more details. RSVP to Pastor Cathy at 952-466-2080. NOTE: May’s date has been moved to April 26th. Ninety-five sundresses were shipped off the first week of January. We still have donated fabric and materials to make even more! If you sew it, we’ll ship it! If you’re interested in sewing, see our LFDA page for more details. Sign up to receive a daily Scripture Devotional to your inbox from the United Church of Christ. Click here to see the full list of events listed on our SJUCC Church Calendar.